Video Critique Group is a monthly gathering for video, performance, and time-based artists to connect, share artwork, give and receive critical feedback, and participate in discussions. 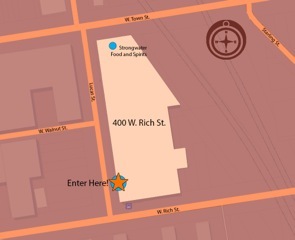 The group meets the 3rd Tuesday of each month at 400 West Rich St. in a lounge on the second floor. 2-3 artists will present each evening. Video screening should be under 10 minutes. Please see the attached map for the correct entrance. The building is kept locked, so you will need to text the posted phone number to be let in. Thank you for your time, and happy new year! Are you ready for some bright color? Check out Monoprint Momentum at Phoenix Rising! Join us for a vibrant and easy expression of chromatic excitement, just when you need it the most. No printmaking experience or drawing skills are necessary to enjoy this creative activity. Bring a sack lunch! Fellowships provide the opportunity for artists and/or artist teams to create ambitious new projects and exhibit work while in residence at Franconia Sculpture Park. 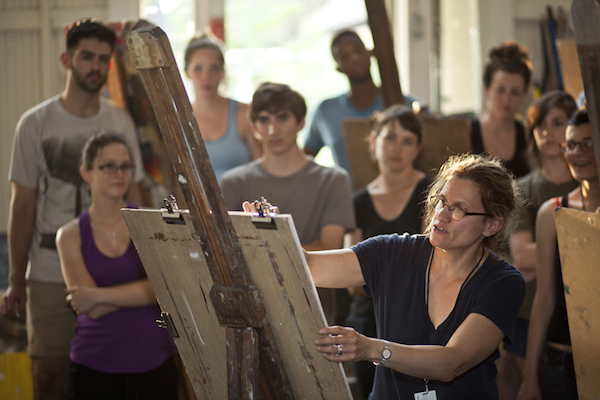 Franconia’s fellowship program includes FSP/Jerome Fellowships (available to artists in New York City and Minnesota) and Open Studio Fellowships (open to artists in all 50 states). Only one application is required to apply to either fellowship opportunity. ◦ Fellows may NOT be in residence the last week of July or the first week of August. 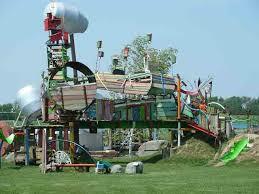 • Artwork created during the fellowship will be included in Franconia’s outdoor exhibition for a minimum of 1 year. A panel of five jurors comprised of arts professionals will make the selection for Franconia’s 2015 Residency Fellowships. During the review process, panelists are looking for emerging and mid-career artists or artist teams who are ambitious, self-challenging, present a professional application, and who will gain professional experience from the residency and exhibition opportunity at Franconia. If you have questions regarding Fellowship Artist opportunities, please contact the Franconia sculpture Park Office at 651-257-6668, or info@franconica.org. 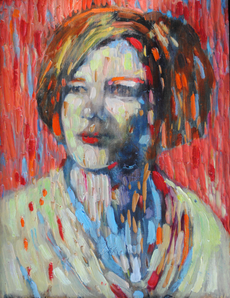 Ohio Art League member-artist extraordinaire Barbara Vogel, along with Marjorie Bender, will hostFamily and Friends, a moving and amusing look at the pivotal relationships of our lives and the people within them. Family and Friends will be on display at the Dublin Arts Council from April 7 through May 16, 2015, with a public Opening Reception April 7 from 6- 8 PM. Bender is best known for her clay sculptures, but also produces and exhibits drawings and paintings. Vogel’s background is in photography. Many of her works continue to connect to photographic images, often in unexpected ways. Vogel also was awarded for her accomplishments among the community at the Ohio Made festival the previous summer. The artists excel in conveying the many dimensions of our closest relationships and in utilizing humor — sometimes whimsical, sometimes dark — to undercut sentimentality. Family and Friendsbrings together earlier and more recent works by both artists and will feature a new collaborative project that pays homage to a number of their mutual friends and mentors. For more information on the Dublin Arts Council or to check out their line-up of exhibitions and events, head on over to the DAC homepage! Gallery hours: Tuesday, 10 a.m. to 7 p.m.; Wednesday through Friday, 10 a.m. to 5 p.m.; and Saturday 11 a.m. to 2 p.m.
OAL’s Spring Juried Exhibition Deadline Draws Near! It’s that time of year again, everybody! Ohio Art League’s Spring Juried Exhibition is one of the main components of our annual programming, and this year SJE will be held at Fort Hayes Shot Tower Gallery– an incredible space to show off your incredible art! It’s not too late to submit entries and have the opportunity to exhibit your artwork alongside other geniuses of the community. Deadline for submission is THIS SUNDAY Feb. 1st by 11:59 AM (nearly noon)!!!! Members and non-members are eligible to submit- as long as you’re 18+- but members enter for FREE! If you have yet to sign up as an OAL member, now is the perfect time to seize the opportunity to promote and critique your work amongst our 600+ membership base! See what OAL is all about! Join us! Artists will be notified of their participation Feb. 16, 2015, after works undergo the jurying process by CCAD’s Graduate Studies Administrator Richard Petry. 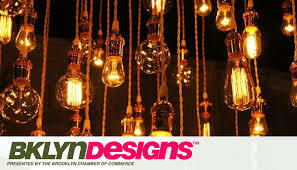 The Brooklyn Chamber of Commerce is proud to announce that it is now accepting applications for BKLYN Designs, which will return in 2015 on May 8th, 9th and 10th. BKLYN Designs 2015 is New York’s premier exhibition of contemporary furnishings and home accessories designed or manufactured in Brooklyn. This internationally renowned, juried exhibition features a dynamic collection of designs from the most innovative Brooklyn-based designers and manufacturers. After over a decade in DUMBO, the event is moving to the Brooklyn Expo Center, the 40,000-square-foot facility in Greenpoint—a neighborhood that has become a hub of creative activity in the borough. Once again, thousands are expected to attend to take in the collection, which will include the latest contemporary furniture, lighting, carpet and flooring, wall coverings, tabletop/outdoor furniture, and accessories. Those interested in participating can download and submit an application atibrooklyn.com/bkdapp. The deadline for early consideration is February 1, 2015 with a rolling deadline (to capacity) thereafter. For any inquiries please contact Santina Giammona, Director Special Events & Projects, sgiammona@brooklynchamber.com, 718.875.1000 ext. 144. 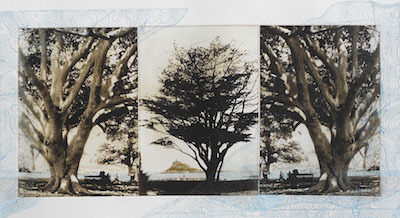 Explore the versatile, contemporary printmaking process of solarplate printing. This non-toxic method of plate-making uses solar energy (UV light) and water to develop an image for an etching or photo-etching. No acid is used! Starting with a drawing or photograph, the results can be wonderful, varied and lead to creating a limited edition. 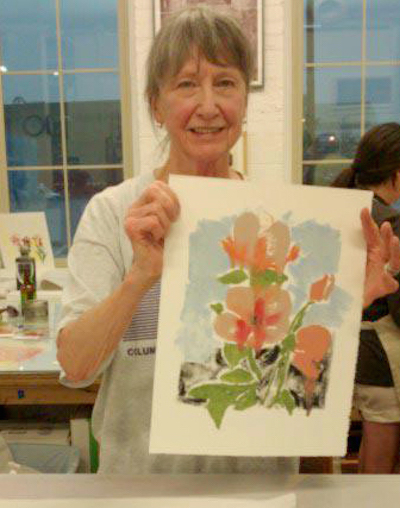 This 2-session workshop is fine for both beginners and experienced printmakers. The first evening session is a demo and learning the process; the second day, creating the plate and printing your image multiple times. You bring the creative spark and an apron or smock; and we provide the materials. Join us for fast-paced, dynamic presentations highlighting innovation and visibility efforts in the Columbus creative sector. Our speakers will explore the future of the Columbus film industry, as well as innovations in design, marketing and partnerships that will capture the attention of people locally, regionally and nationally in 2015. The Public Forum will take place on Thursday, February 12 from 5:30-7:30pm at the Gateway Film Center, South Campus Gateway, 1550 N. High Street. The Arts Council’s Public Forum is FREE and for anyone interested in connecting with artists and arts professionals and learning more about the exciting future of the creative sector in Columbus. 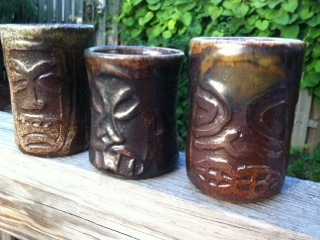 OAL member, Todd Hickerson, will be showing individual and collaborative work at the exhibition. Todd Hickerson, Lena Simonian, and Eric Immelt. An exhibition exploring the iconic artistry of Oceanic culture blending primitive expressions with modern media and techniques. The lighting portion of the show is inspired by the illuminating spirit of Papua New Guinea and its graphical representations of life, ancestry, and traditions. Ring in the New Year with new Creative Capital webinars! We are thrilled to introduce a brand new series centering on the visual arts world, as well as to expand our “Conversations Inside” to include a performing arts-focused interviews. On January 12, we feature Part One of a four-part webinar series with Sharon Louden, artist and editor of Living and Sustaining a Creative Life: Essays by 40 Working Artists. The following Monday, MAP Fund Program Director Moira Brennan talks with Caleb Hammons, Associate Producer at the Fisher Center for the Performing Arts at Bard College. Led by artist Sharon Louden, this four-part webinar series is geared to visual artists yearning for guidance on how best to approach and communicate with the gatekeepers of the art world: galleries, curators, collectors, museum professionals and more. The webinar will address the following questions: How does an artist approach a gallery cold? How does an artist communicate with a gallerist, curator, museum professional, etc.? What are the best ways to correspond and to start up a relationship and maintain it? When is the best time to approach the person? How often should an artist be in contact? How does one follow up on an inquiry? What is the proper way to pace a professional conversation? Webinars are all $25 each. All webinars are interactive and allow time for participants to ask questions. To participate, all you need is access to a computer with speakers and an Internet connection (hard-wired preferred). Interested but can’t attend? All registered participants will receive access to a recording of that webinar. Check out http://www.creative-capital.org/pdp for more information.